A Hellenistic city in Thessaly (Greece). In the 4th and 3rd centuries BC two Thessalian cities were known by the name Halos: Classical Halos and Hellenistic New Halos. They were both situated close to the shore of the Pagasitikós gulf in Achaia Phthiotis, in classical times one of the marginal districts of Thessaly (Greece). The dice was loaded against both cities. Classical Halos was besieged, taken and razed to the ground by a Macedonian army in 346 BC. 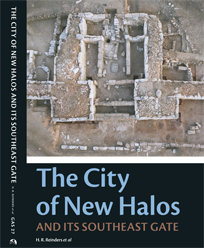 Less than 50 years later, the city of New Halos was founded, probably in 302 BC by Demetrios Poliorketes. Hellenistic Halos was granted only a short live. The city was abandoned in 265 BC, presumably after an earthquake.